Great success for Loreto at the County Enterprise competition on Thursday,28th March! Best Business Report in the Intermediate category has been won by Muireann, Kate, and Saoirse – all in Ms Grants second year business class. Well done! 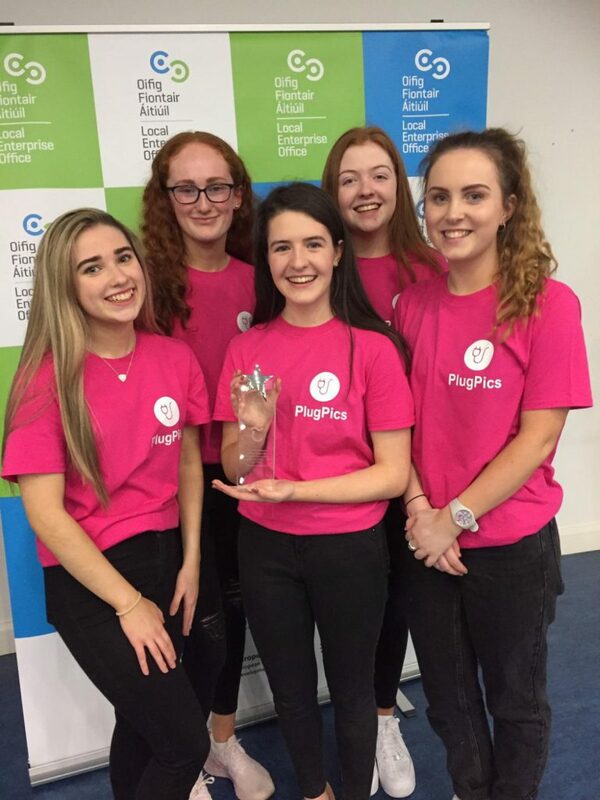 The 1st place winners in the senior category of the county enterprise competition today came from Loreto – Plugpics! Well done Bríd, Erin, Emma, Sinéad & Róise!!! Ms Grant & Sue Anne O Donnell their mentor!! Off to the Nationals on 3rd May! Making history for the Loreto! !